Founder and Creative Director Ashley Sinclair Marshall, began his adventure with Azuni over fifteen years ago having deciding upon a major career change. Previously Ashley had worked as a chef for over ten years at some of London's most famous kitchens - including the Dorchester, Le Caprice and the Ivy. Using the same ethos he'd applied to creating fine food, Ashley decided to embark upon a new career, bringing together the finest elements and ingredients and combining them with exceptional flair. He fuelled this new path with his passion for Native American cultures and set off on a long journey to South and Central America to learn more about their art. This followed by three years of study at Sir John Cass Jewellery and Silversmithing University in London. Having browsed the extensive Azuni London collections, they are without doubt one of the UK's finest designers in sterling silver jewellery and available at astounding price points. 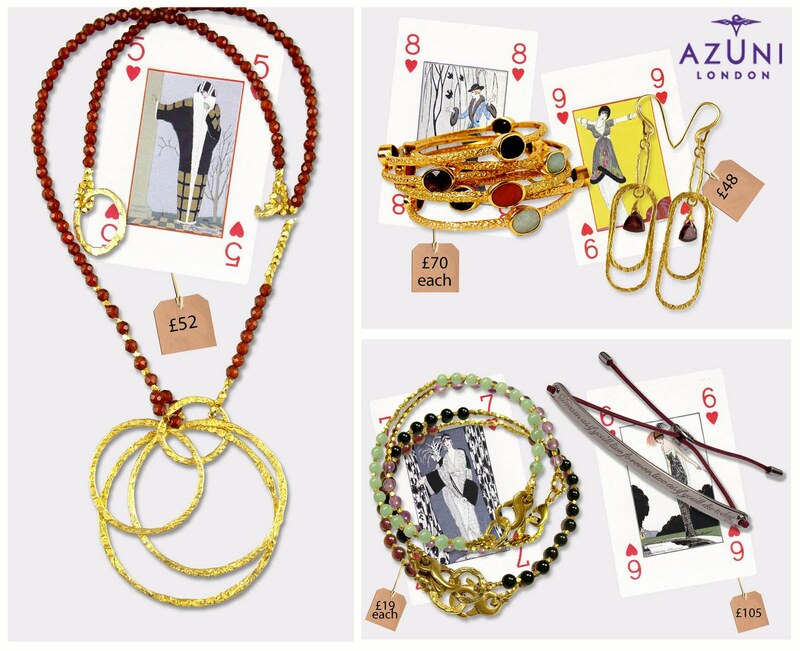 With the use of precious metals and semi precious stones in their jewellery - all sourced from around the world - Azuni combines these materials with an array of hand techniques such as beading, hand polishing and wire work to produce a unique, hand-made, combination of colours and textures. Azuni don't stop their attention to detail there, each piece comes beautifully packaged in an Azuni velour pouch. You will find above a selection of my favourite pieces, the stacking bracelets, at £70 each, make my heart pound with excitement. If you are looking for a present for a friend or loved one, definitely browse the Azuni website for that extra-special gift. You can purchase Azuni in the official online shop, or find a series of stockists here.